Institutions of Higher Education have worked collectively through a group known as the higher education emergency planners. This group of individuals was instrumental in coordinating with the Governor’s Office of Domestic Preparedness, Virginia Department of Emergency Management and the Department of Criminal Justice Services to provide campus preparedness and safety conferences and training. In 2011, the group met with the VEMA Executive Committee to collaborate on the formation of the VEMA Institutions of Higher Education Caucus. The work in 2011 required the higher education planners to develop policies, procedures and draft By-Laws for governance of the Caucus. A leadership team was developed and successfully accomplished this goal. 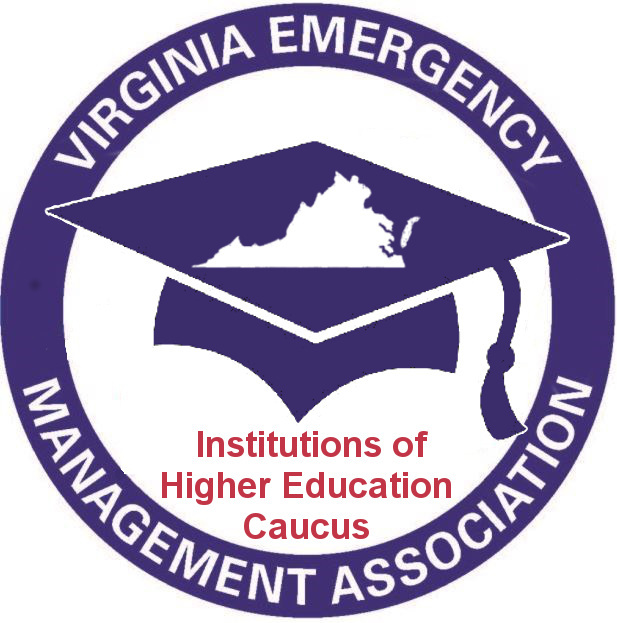 On January 30, 2012, the Virginia Emergency Management Association (VEMA) Board of Directors formally recognized the caucus entitled “Institutions of Higher Education” (IHE) to represent the issues, goals and objectives of higher education emergency management practitioners. The Caucus met during the 2012 VEMA Symposium, adopted an initial slate of Officers and general policies to move the caucus forward. To contact an officer of the caucus, please use the hyperlink associated with the appropriate officer's name.